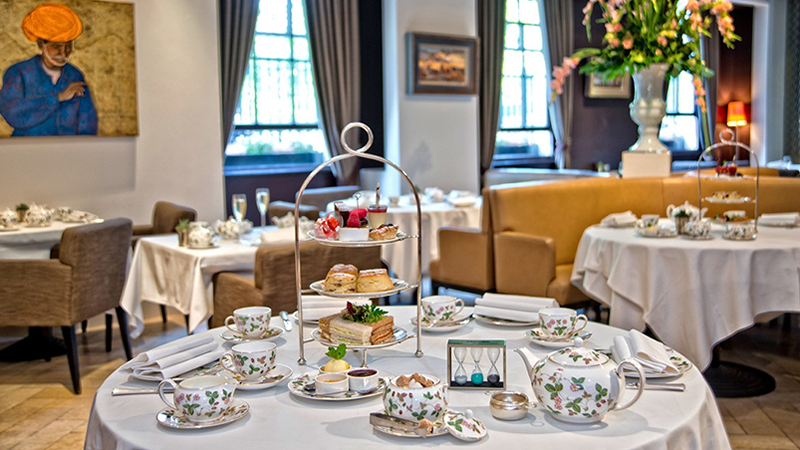 Looking for the perfect place to enjoy afternoon tea in London? With glamorous hotels and quaint tearooms all offering their twist on the traditional tea, it can be difficult to choose where to go. If you need some inspiration, check out the winners of the 2017 Afternoon Tea Awards. These dining destinations are at the top of their game when it comes to slick service and superb scones! At Hotel Café Royal, afternoon tea is served in the gilded surroundings of the Oscar Wilde Bar, where Wilde himself was once a regular. With a pianist tinkling the ivories and a glass of Champagne in hand, it’s easy to feel transported to a more glamorous, bygone age. Once you’ve chosen your tea, prepare for a generous selection of seasonal sandwiches, savouries, cakes and sweet treats created by executive pastry chef Sarah Barber and her team. For sheer decadence, it’s hard to beat. 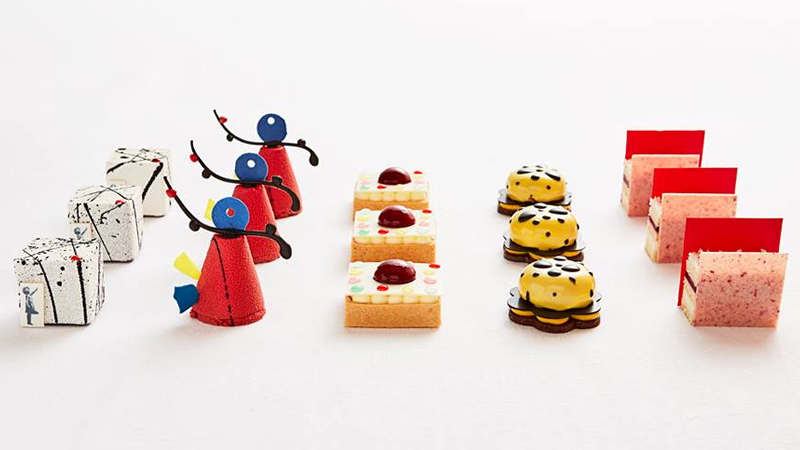 In a tribute to London’s vibrant art scene, the Mirror Room’s Art Tea features a selection of sweet treats inspired by iconic modern artists like Damian Hirst, Yayoi Kusama, and Mark Rothko. They are served alongside traditional sandwiches and freshly baked scones served with Cornish clotted cream, lemon curd and homemade strawberry jam. If you’ve got an art lover to impress, this is the perfect place to take them. For something a little different, head to Knightsbridge and take tea in The Wellesley’s elegant Jazz Lounge. 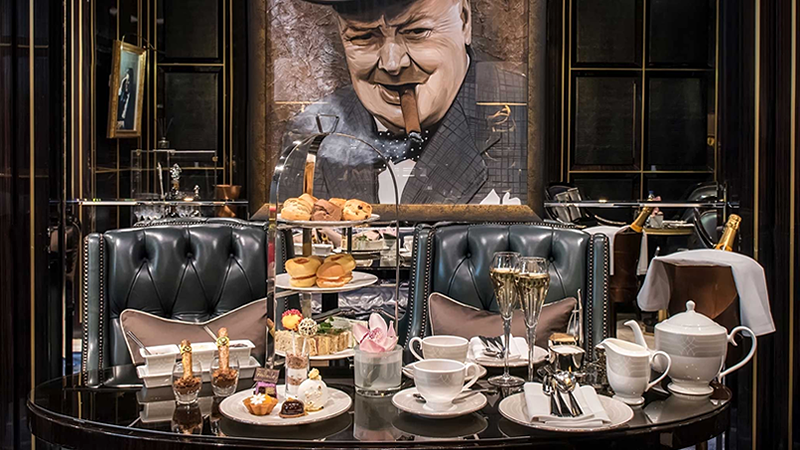 In a nod to the great British leader, the limited edition Churchill afternoon tea features filo pastry cannoli cigars with dark chocolate mousse; bowler-hat shaped tiramisu cups; and rum and coffee flavoured lollipops. Housed in an 18th century mansion overlooking Grosvenor Square, the Millennium Hotel Mayfair is an idyllic spot for afternoon tea. It’s a particularly good choice if you’re dining with little foodies, as they serve a ‘Little Bear’ tea priced at £15. While the grown-ups enjoy a glass of Champagne, the kids can tuck into strawberry jam and peanut butter sandwiches, traffic light jellies, fruit scones, and a raspberry ice-cream cone. As an extra treat, they also get their very own ‘Ask Alfred’ teddy bear to take home. Whether you’re a London local or just visiting, a trip to Fortnum & Mason is always a treat. 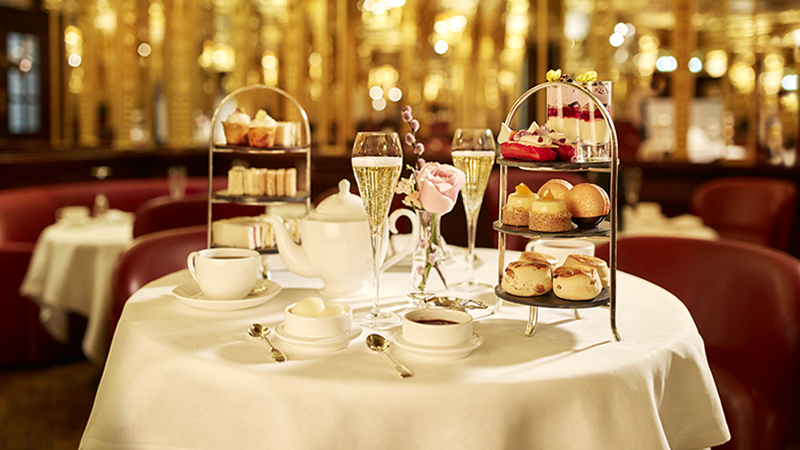 The Diamond Jubilee Tea Salon is an oasis of calm and a welcome escape from the bustle of Piccadilly Circus. 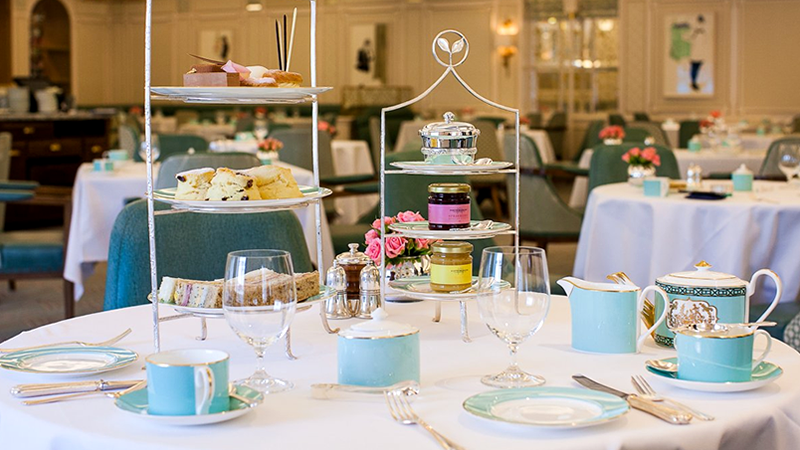 The staff go out of their way to make every guest feels pampered, so it’s no surprise that Fortnums picked up the Best Tea Service award. We think their dainty sandwiches – with classic fillings like Coronation chicken and smoked salmon – deserve a special mention, too. The judges also awarded ‘Highly Commended’ and ‘Commended’ certificates to 44 venues around the UK, including the Mandarin Oriental, the Corinthia Hotel, and The Savoy. For more inspiration, visit AfternoonTea.co.uk to see the full list or check out our round-up of London’s best restaurants for afternoon tea. To be honest The Savoy & The Ritz are better. When I went to Fortnum & Mason despite having a table booked we had to wait 30 mins to be seated. Sandwiches & cake weren’t great and we had to ask for more rather than they be offered. Wouldn’t go there again. I have been to The ritz The savoy and Fortum and the Dorchester. Been to most but The Savoy was the best! Ting lounge at the Shangri La hotel, Shard. Two different types of afternoon tea and great views. So the Millenium is in an 18th century townhouse eh? I’m 62 and watched it being built! on the site of an 18th C townhouse I’d go with. But this is a typical London hotel built to suit(initially at least) globetrotting Americans, but you’d be hard pressed to hear English being spoken in there today. Only reason to go is to see where the KGB (allegedly) murdered one of it’s defectors a few years ago – an event they claim to know nothing of, and the bar has been rejigged anyway.